First Meatless Monday of 2015! Happy Meatless Monday! Today I had a quick lunch of zucchini noodles with an avocado sauce of sorts and will enjoy some vegan ice cream (I’ve previously mentioned this delicious banana based treat from The Kitchn) for dessert. Cut zucchini and pat dry. Add the tablespoon of olive oil to saucepan and heat on medium high. Once pan is hot, add the sliced zucchini, sprinkle garlic powder and italian seasoning, and cook for three minutes (you still want some crunch). Take off the burner and set aside. Slice and scoop out avocado into a small bowl or dish. Add the teaspoon of olive oil, garlic powder, italian and adobo seasonings, and a tablespoon of lemon juice. 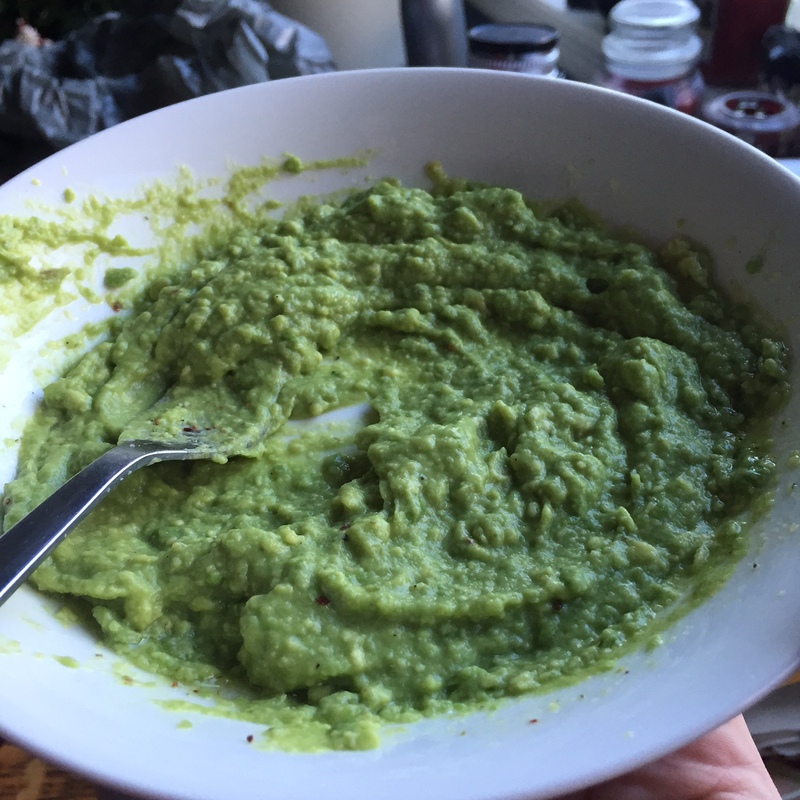 With a fork, mash the avocado until a smooth, sauce-like consistency develops (you could use a food processor, but I prefer to have less things to clean up). 3. Take the ‘noodles’ and place into a dish. Pour the avocado sauce on top and gently fold in until fully mixed with the zucchini. 4. Grab the tomato, dice and garnish the noodles. I usually abstain from meat and dairy when I participate in Meatless Mondays to take it a step further. If you would like to participate next Monday, or are looking for a new recipe to try, take this zucchini noodle recipe or my BBQ Tofu Pizza (I’m drooling just thinking about it right now) for a spin. P.S.- Peep the newly created and official (ooh fancy) Instagram account for The Encyclofeedia and give it a follow to keep up with the latest and tastiest from the blog.